In 2012 the local Kansas City, MO CBS affiliate produced a five minute video on what Clune & Company LC can do to help schools with this special school lease. Five years ago, Stan Jablonski of S.J. Jablonski & Associates came to Clune & Company LC, and asked that we offer a lease program to schools for business radios. The prevailing concern was that of safety and security for schools to have the ability to communicate during emergency times of need. Observations at schools at that time were that the schools usually had a few very high priced two-way radios on a check-in, check-out basis. Those few radios simply were not enough communicative power. Additional radios were needed for more administrators, teachers, and custodians. The costs were too prohibitive to serve all the desired personnel. 1. In the race for school safety and security there is no finish line. 2. Funding for safety and security is scarce and there is never enough of it. 3. Clune & Company LC can help solve some of #1 and #2. S.J. Jablonski & Associates represents radios from Hytera, which is the second largest radio manufacturer in the world. 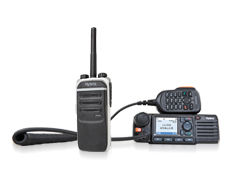 The four watt Hytera # 508 radio and the Hytera # 320 Radio are at an affordable cost to all businesses who are watching their budgets. Clune partnered with S.J. Jablonski & Associates to customize a 38 month “School Smart” Lease Program that enables the school to own the equipment at the end of the term. For pricing information please contact S.J. Jablonski & Associates. Check with Clune to see what program we can design for your school or municipality.